The second project turned out to be a 12 foot long scarf. It was my response to having my purse stolen at a restaurant - I added a hidden pocket on the end so the user would have a secret place to stash their cash. 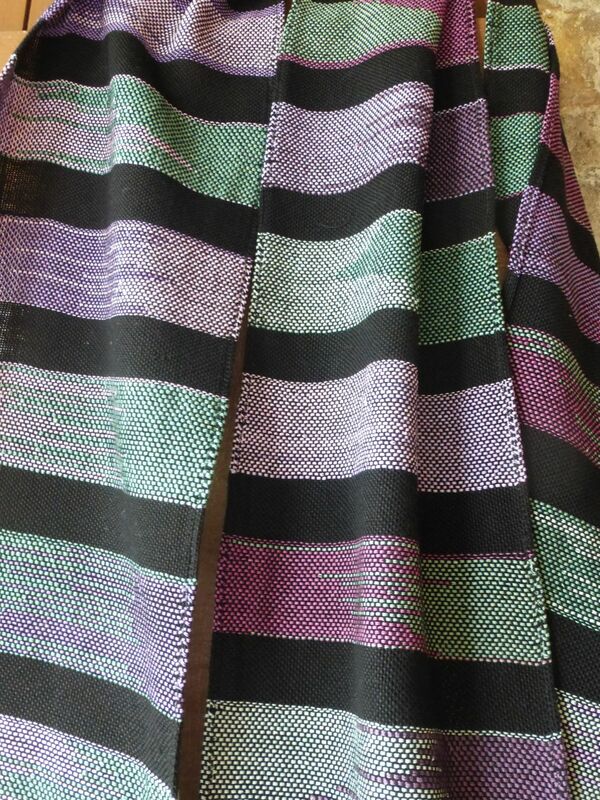 I used the clasped weft technique which creates interesting patterns and interspersed the weaving with black lines. For this cute tunic I added in some industrial string that was dyed at the same time. I only used string as warp in the past but found it to be fun to use in the weft also and helped give me more texture to work with. I love the way the string shrank more than the cotton thread which gives a seersucker effect. I plan to work more with that idea. I also love the long black running stitch. 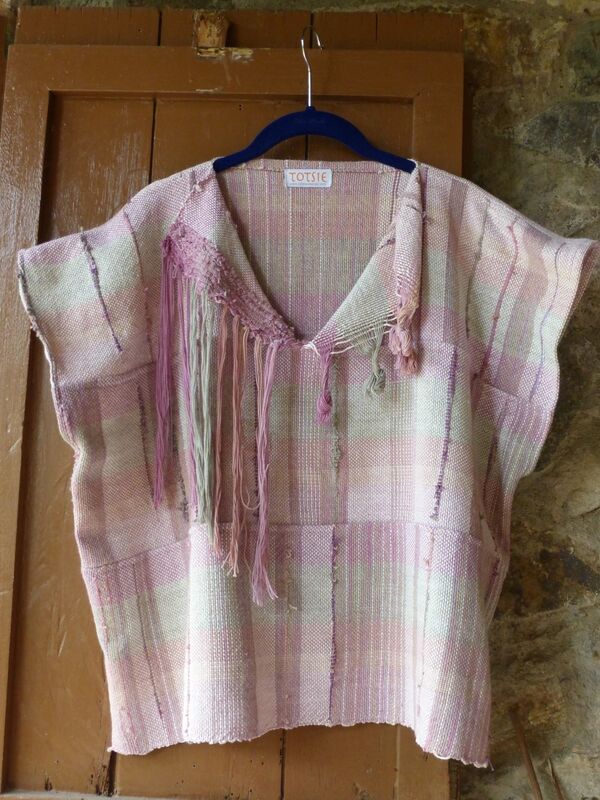 This pretty top uses cotton as the warp and string in the weft with cotton string bunches for accents. And below is the result of the Three Shades of Gray dyeing from the previous post. 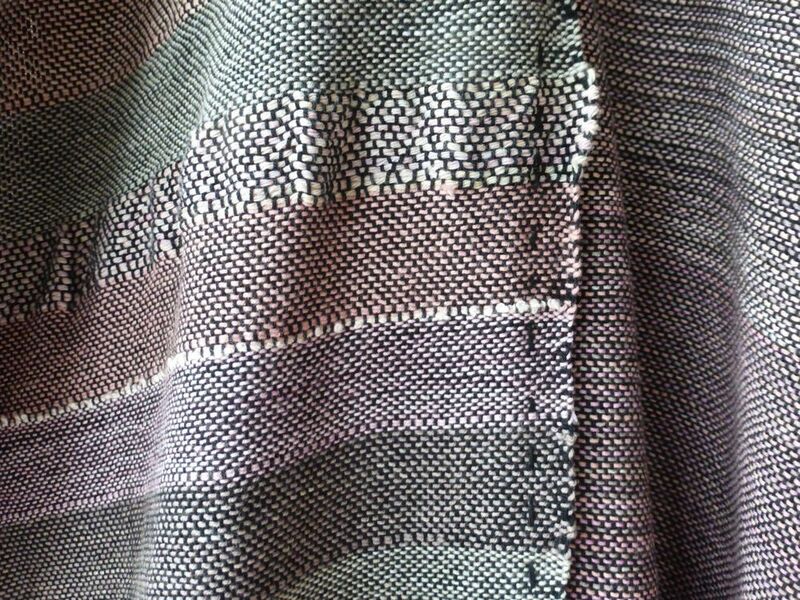 All of the gray thread is rayon and the white is cotton. This made a very soft drapey top that is really comfortable to wear. I want to work more with rayon but I found it more delicate and more prone to pilling than cotton.